Premiered on Billboard and released yesterday (3 April), this beautiful dose of minimal indie pop is from New York’s Ariana and The Rose. We first featured her at the end of 2016 with the icy synth-pop gem Supercool, this time though, she is back with a lighter and more minimalistic tone, full of glorious vocal hooks and an infectious beat. 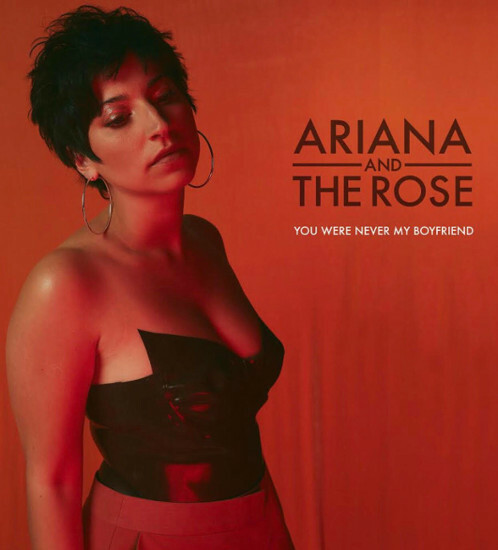 Co-written with Ollie Green (Freya Ridings, Gavin James) and co-produced by Green and Stuart Crichton (Kesha, Chainsmokers, DNCE), You Were Never My Boyfriend is taken from her forthcoming two-part Constellations EP and is destined to feature on streaming new release programming tomorrow. Her previous releases have amassed over 6.3m streams and 3m YouTube views, as well as Spotify playlist additions, plus garnered a ton of tastemaker praise from the likes of British Vogue, Complex, Noisey, Nylon and Wonderland. With a music video partnership with Superdry in the bag for the single and a number of shows in the US and London booked for this summer, Ariana is set to take her music and mass appeal to the next level.